The White House in Washington D.c. is one of many American symbols for kids to learn about. This worksheet gives some funny facts about the presidential residence. Check it out! 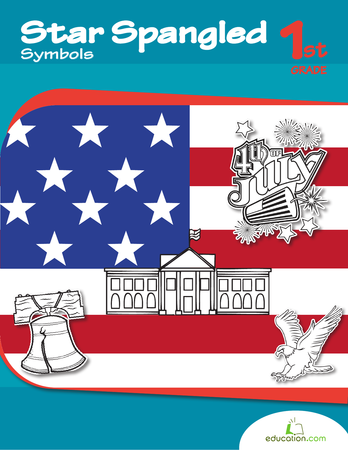 This printable introduces two famous U.S. symbols for kids: Mount Rushmore and Betsy Ross. 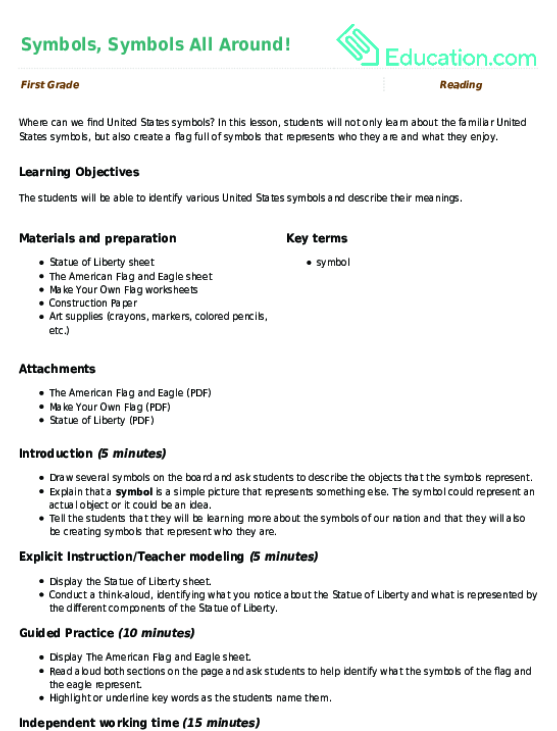 This worksheet introduces United States symbols for kids. Does your child know that every country has symbols that are special to its citizens? From purple mountains majesty to the shining seas, learn to recognise the U.S. symbols with this comprehensive book. With coloring, fun activities and facts, kids can embrace their American heritage. For kids that like hunting down things in hiding, this patriotic word search is just the thing to keep them engaged and learning! Where can we find United States symbols? Take a closer look at the American flag and eagle, important symbols of our country, with this fun printable. Help your kid get to know computer symbols used in maths and communicating on the phone and e-mail. In this lesson, students will retell stories and use symbols to highlight interesting parts. 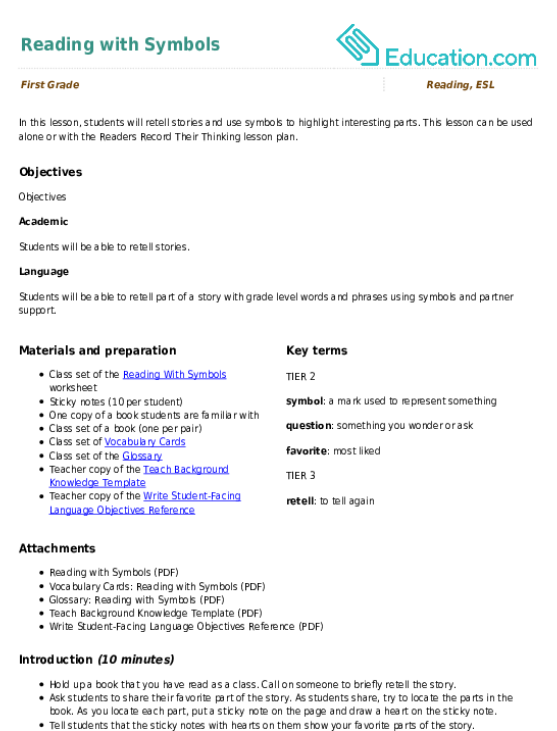 This lesson can be used alone or with the Readers Record Their Thinking lesson plan.